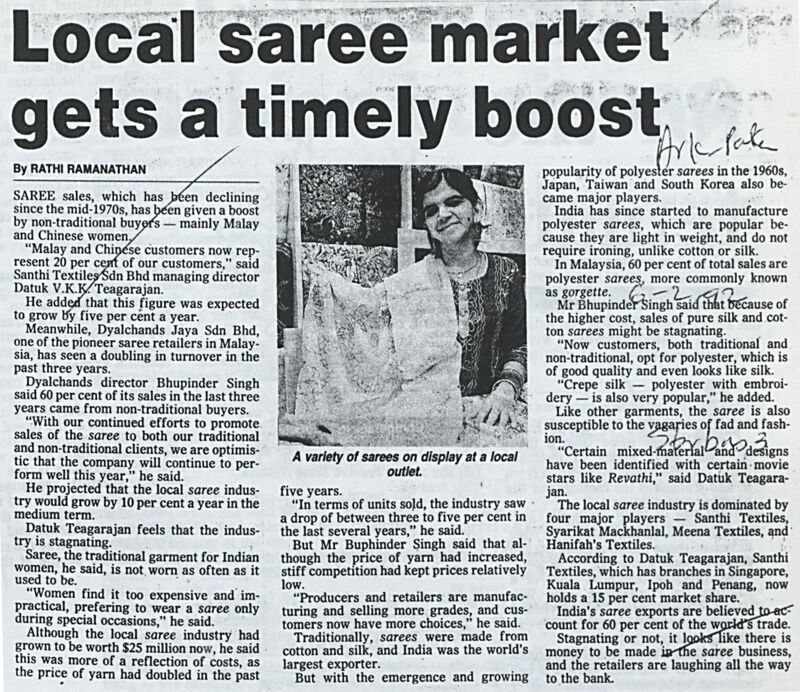 Ramanathan, Rathi (1992) Local saree market gets a timely boost. In: Adat Resam dan Kepercayaan Jilid 1 1992. University of Malaya Library.